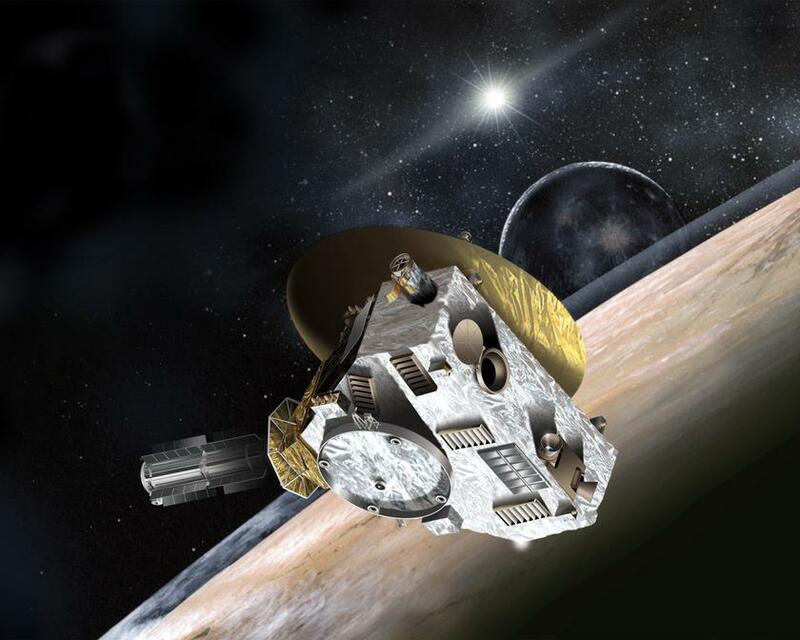 March 5, 2015 – Fiske Planetarium in Boulder will host two live presentations this month on NASA’s New Horizons mission to Pluto. Dr. Fran Bagenal will present on March 12, followed by Dr. Alan Stern on March 13. Stern, a planetary scientist at the Southwest Research Institute (SwRI) in Boulder, is the principal investigator and leads the New Horizons mission. Bagenal is a planetary scientist at the Laboratory for Atmospheric and Space Physics in Boulder, a CU-Boulder professor of astrophysical and planetary sciences, and New Horizons mission co-investigator. She leads the plasma team for New Horizons. New Horizons launched in January 2006 and, after a voyage of more than 3 billion miles, recently began its long-awaited historic encounter with Pluto, which will culminate with the first flyby of the Pluto system this July. The mission will provide our first close-up view of the Kuiper Belt Object and its five moons. Since Clyde Tombaugh discovered Pluto in 1930 there have been rare breakthroughs in our knowledge of this small icy object on the edge of the solar system: detection of a large moon Charon in 1975, detection of an atmosphere in 1988, and measurements of a few atmospheric constituents using the largest telescopes on Earth. Hubble Space Telescope pictures show just a fuzzy blob – though revealing intriguing high contrast dark and light areas – and in the past few years Hubble observers have picked out a total of five moons. New Horizons will get better and better views throughout spring 2015 and into the summer. The spacecraft will fly through Pluto’s escaping atmosphere, measure the interaction of the planet’s escaping atmosphere with the solar wind, and take detailed pictures of the surface of Pluto and its moons. New Horizons carries with it the LASP-built Student Dust Counter (SDC). The New Horizons mission also involves LASP scientists and CU-Boulder students, who await data from the unprecedented approach and close encounter of the dwarf planet and its five known moons. This show is FREE for CU students with a valid Buff OneCard for the Thursday showing. For everyone else, it is $10/public or $7/Child/Student/Senior. For more information about this event, or to purchase tickets, visit Fiske Planetarium’s website.